Parker House is a young attorney in North Carolina, with the gift of extraordinary intuition, which often comes in seeing glimpses of the future. His German grandfather, Frank, shares this same gift, which he had used during the Holocaust in regrettable ways. Wartime secrets begin to surface as Parker grapples between progressing his career and finding love, and Frank struggles through deeper issues of faith, repentance, and releasing guilt for his past mistakes. 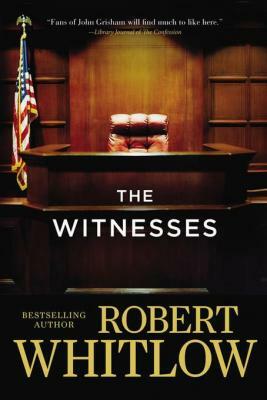 I enjoyed the legal–courtroom drama–aspects of this book, as well as the characters. I thought Frank and Layla were especially well developed, complex characters; and I loved the flashbacks into Frank’s life during the war. However, the pace of the narrative was too slow in many places, with the major theme of the supernatural abilities not directly coming out until the middle of the novel. I also did not like the ending, as I felt the atrocities of the Holocaust (while alive and burdensome in Frank’s mind) were overall downplayed, and not dealt with appropriately or fully. The ending also felt predictable and abrupt to me. I would consider reading this author again, but did not enjoy this book.